If you have found yourself on this page, are a cat guardian and live in Bayswater then it’s more than likely that you will be seeking a cat sitter to care for your cat during your travels. Why contact Catnips for a cat sitter Bayswater? We do not hire strangers. Catnips is a small cat sitting company and only one or two cat sitters do all of the cat sitting. These are local people that the owner of Catnips has known for over 20 years. We have a key holding service so if a client has accidentally locked themselves out then this can be solved straight away because their key is being held securely and close by. We all love cats and understand their behaviours and patterns. 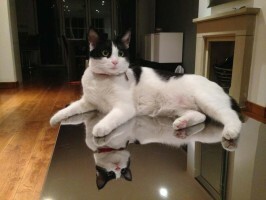 Zeynep was happy with Catnips who supplied a cat sitter Bayswater and your cat will be too!